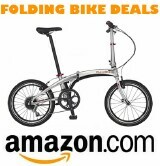 Below is a list of folding bike manufacturers from around the world. If you know of other makers that should be added to the list, click on "Contact" in the menu above and send an email and they will be included. The manufacturer's headquarters country of origin is listed and while many have distribution outside of their home country, availability may be limited. As with most bicycle companies today, their factories may not be located in the indicated country. Some folding bike brands you may come across in the market are not listed since they are not actually manufacturers, they are OEM or ODM partners. The directory was last updated on 01/14/16.